Willing Beauty | FIFTY SET GO! Kids these days have so much more than we had when we were kids. While the times have changed, a few basics remain. Kids need to learn how to care for their skin now just as we did back in the day. The willa line of products was developed for teens and tweens as an answer to a young mother searching for safe products for her daughter after she herself had a skin cancer scare. You can take advantage of our holiday specials and introduce the gift of healthy skin to a new generation! The willa line has two regimens perfect for teens and tweens (and adults too!) The B2G1 special can be used for any combination of the two, giving you better savings and more gifting power. The Essentials Regimen is a gentle system that gets girls started on the daily routine of cleansing, hydrating, and protecting. This Regimen also comes with a detoxifying peel-off charcoal mask that can be used as a weekly skin rest or for a fun girls night in. 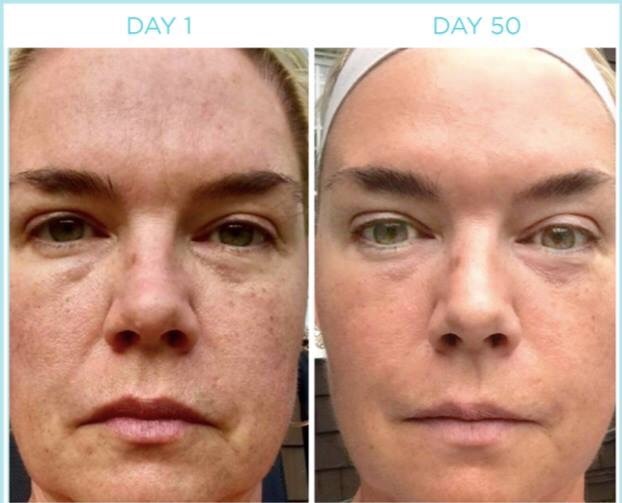 This regimen is also good for adults who need a little less hydration and blemish control. The Essential Regimen includes: Start Fresh Foaming Face Wash, Zero Shine Mattifying Moisturizer, Face The Day SPF 30, and Peel Away Charcoal Mask. The Clear Skin Regimen uses gentle yet powerful blemish-banishing ingredients to treat and prevent breakouts while calming and soothing to reveal skin that’s smooth, bright, clear and always protected. The Clear Skin Regimen includes: Clear Skin Exfoliating Cleanser, Pore Perfector Breakout Banisher Pads, Zero Shine Mattifying Moisturizer, and Face The Day SPF 30 Tinted Protection. Now through December 19, we are offering a BUY 2 GET 1 FREE Holiday Special on the willa regimens! This is the best deal for these amazing products as it breaks down to $32 per regimen. This is a great way to introduce The Essentials or Clear Skin Regimens to the younger crowd. You can choose all one or mix and match the two regimens. The willa Regimens regularly retails for $68, or if you prefer a replenishment subscription (your choice of 4, 6, or 8 weeks) it’s $48. Retail Cost Savings: $48 on three. Tip: Mattifying Moisturizer is great for those who live in humid climates and Start Fresh Foaming Face Wash is wonderful for boys to use for shaving! I’d love to help you give the gift of safe, effective products to the teens and tweens in your life. I’m easy to reach by email, through my Facebook Page, or you can come on over and join Penny’s Lounge, my super special Facebook community of fun folks who hang out, visit, listen to records and right now, sharing cookie recipes. I can help you solve your gifting dilemmas this holiday season! She’s checking her list, she’s checking it twice, have you been naughty or nice? Who cares! Willing Beauty has something extra special for everyone on your list. It’s the ultimate Black Friday, Small Business Saturday, Cyber Monday and Giving Tuesday gift all rolled into one gorgeous package! Our signature HY+5 Regimen™ retails for $138. When you purchase on no-brainer replenishment, the subscription price drops to $98. That’s a nice savings of $40, right? Hold onto your Santa hats, it’s gonna get a whole lot better! Now through November 30th, 2017 at 11:59pm CT, you can purchase the HY+5 Regimen™ on Buy 2 Get 1 Free for only $196. That is a whopping $200 savings on the best better-for-you, clean, safer, nasty toxic chemical free skincare in town! This breaks down to $65 (plus tax) per regimen. Say What? You read that right. $65 per regimen! That’s an additional $33 savings! High-end skincare at a crazy affordable price! I would be speechless if I wasn’t so darn excited! Now, I’m not gonna lie. I love a good sale. I’ve been thinking, how can YOU best take advantage of this special? There are a couple ways to approach this. Make the purchase and gift the extra regimens to your special peeps. Your mom, sister, daughter, bestie, husband, boyfriend, brother, dad. HY+5 may be in pretty packaging, but it really is for everyone! You and two of your special peeps can go in on the purchase with you. Then three of you can benefit from the savings! This is a great opportunity for those who have never tried HY+5 to give it a whirl. What a wonderful way to try it out, or if you already love it, share the gift of beautiful skin with others! Our proprietary HY+5 Complex™ is the cornerstone of our age-defying regimen and is designed to defend against environmental aggressors that your skin faces daily (UVA/UVB rays, pollution, a harsh climate) that can lead to lines, wrinkles, and discoloration. HY+5 Complex™ also replenishes and restores your complexion with vital moisture, nutrients and antioxidants to fulfill your desire for soft, supple, youthful-looking skin that glows and radiates health and happiness. Plus it’s free of harsh chemicals, toxins, parabens and synthetic fragrance, making it a better, healthier, choice. This stunning before and after photo tells the story. I’d love to help you and yours give the gift of safe, effective, more affordable beauty. I’m easy to reach by email, through my Facebook Page, or you can come on over and join Penny’s Lounge, my super special Facebook community of fun folks who hang out, visit, listen to records and share all kinds of fascinating tidbits. Let me help you Be Beautiful and Be Willing this holiday season! Have you started your holiday shopping yet? Better still, have you told the treasured peeps in your life what YOU would like to receive this holiday season? The SKU number to make finding that product all the easier. Better still, if your holiday wish is from Willing Beauty, you can send me a picture of your wishlist and a way to email or text your wishlist to your treasured peeps. I’ll be happy to deliver it to them and help them do their shopping! Who doesn’t want to give and receive better-for-you, safer, effective, clean products that are safe for sensitive skin and pregnant women, and free of parabens, sulfates, mineral oils, DEA, phthalates, chemical sunscreens and synthetic fragrances at a more affordable price? Buy 2 HY+5 Regimens™ at $98 each, you’ll get 1 FREE! That’s a savings of over $200! Stocking Stuffers are available while supplies last. The HY+5 special is good through November 30. I’d love to help you and yours give the gift of safe, effective, more affordable beauty. I’m easy to reach by email, through my Facebook Page, or you can come on over and join Penny’s Lounge, my super special Facebook community of amazing folks who are also sharing their holiday traditions and preparing for the best holiday season yet. I’ve got my Santa hat on for you! Shop Willing Beauty for Holiday Skin You will Love! You’re checking your list. You’re checking it twice. You’re planning gifts whether they’ve been naughty or nice. You’re busy with work/school/kids/home/pets/LIFE! You wonder, “How will I be able to do it all this holiday season?” You, my friend, you need an elf. I give you permission to slow down. Take a breath. Sit quietly. Enjoy the moment. I’m the elf with a little something in my holiday gift sack to help you out with everybody on your list. Now through November 19th at 11:59pm CT we are offering a free PARTNER IN TIME Age-Defying Serum with the purchase of a HY+5 Regimen. This gift with purchase is available for both one-time purchases or No-Brainer Replenishment orders. This is the gift that gives and gives. I use PARTNER IN TIME as part of my night-time routine. I also apply it to the backs of my hands every morning. Oh, how I wish I had taken before/after photos of my hands! It’s a guilty pleasure and the product we offer with the highest concentration of our HY+5 Complex™. Take that wrinkles and fine lines! BORN TO GLOW Skin Elixir is another wonderful indulgent item that everyone’s skin loves! Use it after washing and before moisturizing to give your skin an extra boost of moisture. Use it on your cuticles, elbows, toes and heels – anywhere your skin could use a little extra TLC. Yes! Men all across the land are Willing too! START FRESH Foaming Face Washis a favorite for shaving. In fact, some say they’ve never had a finer shave! Men are sneaking into their wives and kids stash of PEEL AWAY Charcoal Masks so they too can have soft, glowing skin. In fact, I know a fellow whose wife has had to limit him to using it only once a week, as he wanted to use it once a day! He loves feel of his skin after the mask. Many men are using the HY+5 and the willa regimens as part of their daily routine and begging their wives to keep them stocked up. The willa line is perfect to get your child started with a good skin-care regimen. The Clear Skin Regimen is perfect for the child who battles breakouts. The Essentials Regimenworks well for the child who has only occasional breakouts. The ZERO SHINE Mattifying Moisturizer is well loved by my friend’s 15 year old who cares about his skin but prefers not to look like he cares about his skin. FACE THE DAY SPF 30 Tinted Protection is perfect for kids to use when learning the importance of protecting their skin from sun damage. We have four-packs of all the favorites! Each are Buy 3 Get 1 Free, so they are easy on the gift giving budget. They make great stocking stuffers as well as hostess and thank you gifts this holiday season and beyond. Choose from the XO Lip Oil Mulit-Pack (2 original and 2 peppermint,) DAYDREAM Illuminating Day Moisturizer, PEAL AWAY Charcoal Mask and TAKE ACTION Acne Spot Treatment Pen(which I keep in my purse to use the moment I feel a blemish starting.) In packs of four, you can cover a lot of gifting ground! All of our regimens purchased between November 1 and December 20 will ship in our gorgeous new holiday packaging. You don’t have to wrap it, just add a bow and a gift tag and you’re all set! And remember, between now and November 15, the HY+5 Regimen ships with a bonus PARTNER IN TIME. This elf is ready to help you handle your list! Give me a shout and I can answer your questions. I’m easy to reach by email, through my Facebook Page, or you can come on over and join Penny’s Lounge, my super special Facebook community of amazing folks who are also preparing for a crazy holiday season. I’ll be waiting with bells and a green pointy hat on. Should I Become a Willing Beauty Crush Insider or a Beauty Advisor? If you’ve been around the Willing Beauty world you’ve heard the terms “Crush Insider”, “Crush Club”, “Golden Heart Rewards” and “Beauty Advisor” and, quite frankly, you may be confused. Good golly, I know I was when I first started! What are these things? Why should you care? Seriously. Is it important? Yes. Yes it is. Let me break it down for you. Golden Heart Rewards! These are your “frequent buyer points” and you earn 10 for every dollar you spend. If you have friends and family who purchase using your website, you will also earn GHR for THIER purchases. Get it? Pretty cool! Golden Heart Rewards can then be redeemed at the time of purchase to offset the cost of your product or, depending on how many you have saved up, to receive free product. If you want to be a Beauty Advisor save your GHR! Once you hit 3,500 you can redeem them to become a Beauty Advisor at no additional cost! Wait. What? Why would I want to do that? Beauty Advisors are people who want to build a business or receive the product they love at a discounted price. Beauty Advisors in good standing receive a minimum 25% discount on products. That percentage goes up depending on how much product you and your customers purchase each month. How do you stay in good standing? Maintain the minimum Personal Volume required over a two month period. That’s basically a Hy+5 Regimen and an XO Lip Oil every two months. And if you decide to cash in your Golden Heart Rewards to become a Beauty Advisor? You get to keep all of your customers! Nothing changes for them, and you have an instant business. Choices, choices! If you like earning points, become a Crush Insider and earn points on what you purchase or what your friends and family purchase. If you prefer shopping at a discount or you wish to build a business, become a Beauty Advisor. Does that make sense? Have I muddied the water? Are you dying to know more? Give me a shout and I can answer your questions. I’m easy to reach, shoot me an email, send me a message from my Facebook Page, or join Penny’s Lounge, my super special Facebook community of fun-loving folk who care about things like sweet tea and noodles. I’ll be happy to hear from you! The Story of Peppermint and a Giveaway! Once upon a time in a land way up north, there was a jolly man and his jolly wife who just wanted to make people happy. They came up with many ideas, and they finally settled on celebrating the holiday season, especially Christmas. They began building a factory and distribution center so they could make toys for children all over the world. They hired quirky elves because they fit right in! They designed a state of the art transportation system so that the jolly man could deliver the toys in one night. It was all quite magical! Everything was clicking and children all over the world were happy. But it wasn’t enough. The jolly man and his wife needed to do more. They needed to give back to the adults as well. What could they do? Holiday flavors and scents. Things that smelled and tasted like holiday cookies and candies, potpourris and sachets. Things that would remind a person of Christmas and holidays past. Evergreen. Gingerbread. Citrus. Cinnamon. Berries. Cloves. Apple pie. Pumpkin Pie. Mincemeat Pie. Pecan Pie. Pinecones. Sugar Cookies. Turkey. Ham. Fruitcake (possibly a less than stellar choice.) Rum Balls. Eggnog. Peppermint…PEPPERMINT! Peppermint became a very popular seasonal staple, with adults across the land enjoying the flavor and scent in things like candies, cakes, ice cream, cookies, coffee, candles, essential oils, and luxury personal care items. Lotions. Soaps. Lip Balms. Lip Oil. To make this happen, the jolly man and his wife needed to expand their distribution system. They set to work with retailers and direct sellers across the land to make that happen. Soon all the flavors and scents were everywhere! The jolly man even spoke to me and asked me if I could help deliver special Lip Oil across the land. I, of course, said yes! XO Lip Oil is amazing. Peppermint XO Lip Oil? OH MY! Coming in October, XO Lip Oil will be available in PEPPERMINT! These are perfect as stocking stuffers, office gifts, hostess gifts, girls-night-out gifts, Christmas gifts, and just giving out to family and friends! Where the XO Lip Oil smells like you are at a beach resort, the Peppermint XO Lip Oil is all about peppermint holiday goodness. I happen to have a few on the way. Would you like to be added to my waitlist? Click here, read the instructions and fill out the order form. I’ll shoot you back an invoice and when they arrive I’ll get your order in the mail to you. In the spirit of the jolly man and his wife, how about a giveaway? YES! Click here to view the “how to enter” information (no purchase necessary!) On Wednesday, October 4 I will draw two lucky winners who will each receive a Peppermint XO Lip Oil! How awesome is that? Step 1 is the cleansing. In the morning, I hop into the shower, wash my hair, apply conditioner, and then wash my face with DO OVER Nourishing Cleanser. I love this cleanser! When I was a kid, I was always told my skin wasn’t clean until it felt tight. No more! It smells so…clean, and it does not make my face feel tight after I’ve used it. In fact, the first day I used it, I washed my face twice because I thought maybe I didn’t use enough! Step 2 is to moisturize with DAYDREAM Illuminating Day Moisturizer. This stuff is so yummy! It comes out of the tube thin, so you think, “I’m going to need a lot of this.” That is not the case. A little goes a long way. A pea size amount takes care of my face and my neck/chest (because we should always cleanse and moisturize there too!) It absorbs nicely and doesn’t leave any kind of “moisturizer feeling” behind. Step 3 is the GET SET SPF 30 Tinted Primer. Again, a little goes a long way. Slightly tinted to help give a smooth appearance to your skin, this product has better for you SPF to protect your skin from the damaging rays of the sun. You can use it alone or follow up with makeup. I don’t take an evening shower, usually, so we can skip the shower time. The evening routine is just as simple and just as effective. Step 1 is cleansing my wash my face with DO OVER Nourishing Cleanser. It washes away the day and leaves my skin feeling clean and fresh. Step 2 is to moisturize with PARTNER IN TIME Ave Defying Night Serum. Like the DAYDREAM, it out of the tube thin, but a little goes a long way and you immediately feel the difference. This product has a little extra oomph, so it works it’s magic while you sleep. Again, a pea size amount takes care of my face and my neck/chest. It too absorbs nicely and doesn’t leave any kind of “moisturizer feeling” behind. Step 3 is my little secret weapon, the SLEEPOVER Replenishing Night Cream. Thicker and creamy feeling, it too does not require a lot. It seals in the PARTNER IN TIME goodness while giving yet another boost of HY+5 action. It absorbs nicely and doesn’t leave that icky “I’ve got thick moisturizer on my face” feeling. Again, less than 5 minutes and super simple! I have VERY dry skin. Even living in the humid state of Florida, you can look at my arms and legs and see that I could possibly be reptilian. I’m not, I just have dry, scaly skin! I have adjusted the daily HY+5 Regimen to accommodate my moisture needs. Thus, my personal regimen is 5 easy steps. Step 1, cleanse with DO OVER. Step 2, after cleansing I use the BORN TO GLOW Skin Elixir, a wonderful mix of luscious oils that gives my skin that extra attention it needs. A few drops go a long way. I use it around my eyes and mouth, my forehead, and neck. Step 4 is a tiny amount of SLEEPOVER Replenishing Night Cream. Honestly, the tiniest bit. Step 5 is the GET SET SPF 30 Tinted Primer. How did I come upon this combo? I played with the products and amounts for a couple days until I landed on the combination that left me feeling fresh and hydrated all day long. And it still takes me less than 5 minutes. Easy Peasy!! 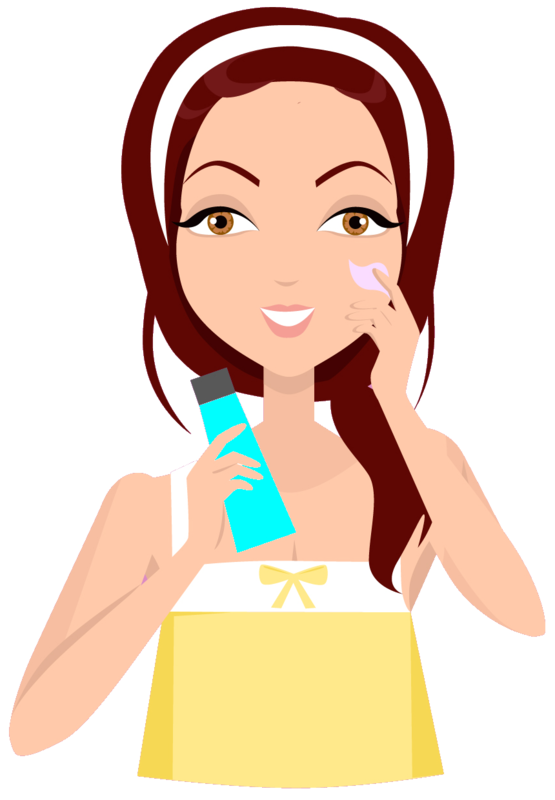 Do you have 5 minutes in the morning and 5 minutes in the evening to devote to beautiful skin? Hop on over to my Facebook Page and shoot me a message, or shop here. I’m happy to answer questions and help you get on the path to beautiful skin.